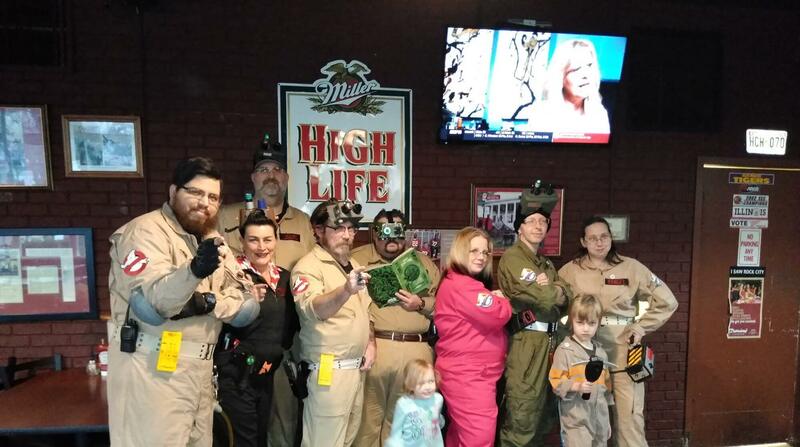 The North Georgia Ghostbusters is a costume and prop hobby group based around the north Georgia area outside of Atlanta. We dress in custom-made uniforms and carry home-built equipment from the hit supernatural comedy franchise. We are part of a larger, worldwide fan-community and take great joy in showing up wherever our presence might be appreciated. 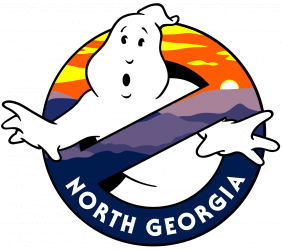 The North Georgia Ghostbusters also enjoy participating in public events and charities. Whether it be for official promotions or for charities, the group prides itself in being a positive force whenever possible. The North Georgia Ghostbusters is not an officially-recognized Ghost Corp franchise, but we will be registering with Ghost Corps as soon as registrations are opened back up. While we aren’t officially recognized by Ghost Corps, we do have our Group logo patch on display in a display case at Ghost Corps Headquarters as evidenced by these photos. If you are interested in having members from our group appear at your event (birthday party, convention, parade, etc.) don’t hesitate to contact us. We do not charge for appearances however we will gratefully accept donations sent to our charity of choice by you on our behalf.